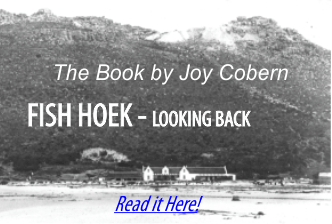 Although the first plots in Fish Hoek were only sold in 1918 there have been people in the Fish Hoek Valley for many thousands of years, but it was only in the 1920’s that the early history of the valley was uncovered. 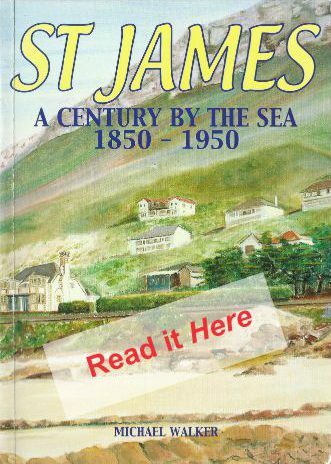 The names of Victor and Bertie Peers are remembered in Fish Hoek, and beyond, because of the discoveries they made in the cave which is now called after them. 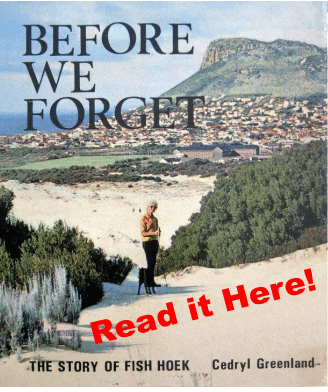 It was the Anglo-Boer War that brought Victor Peers to South Africa. He was born in Australia, where the family lived on a farm, and he grew up with an interest in plants. When the war broke out, in 1899, he joined the army and was part of the Australian contingent sent to support the British troops. 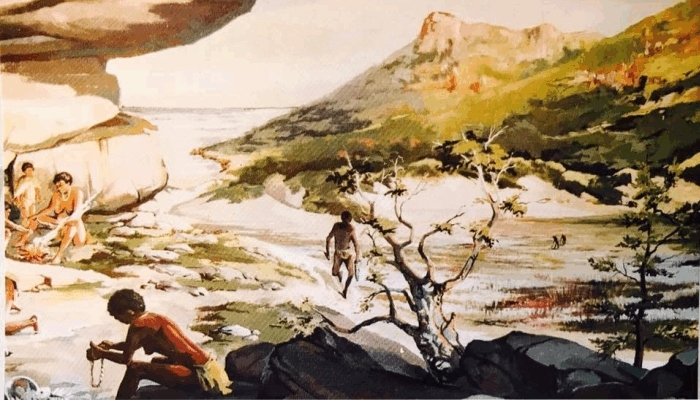 He was wounded, and sent to the Cape to recover, and as his strength returned he walked in the mountains around Cape Town and discovered the Cape flora. When he was repatriated, after the end of the war, he married and emigrated to Cape Town with his young wife, Bella, and settled in Wynberg. His daughter always used to say that it was the flora that had brought him back to South Africa. In 1920 Victor and Bella Peers, with their son Bertie and daughter Dulcie, moved to the new village of Fish Hoek where they built a house in Fifth Avenue. It was not long before, exploring his new surroundings, he went into what was then known as the Schildergat Cave and picked up what he thought were early stone tools. He took these along to the University where John Goodwin, the first South African to train as an archaeologist, was busy establishing the Department of Archaeology. 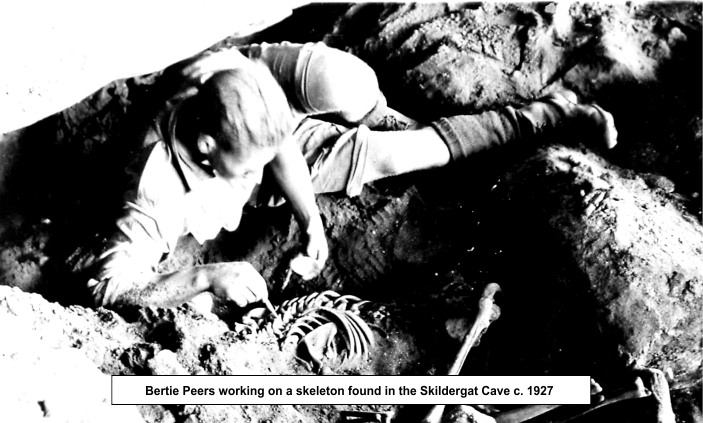 At that point no one could imagine the discoveries that were to be made in Southern Africa and as there was no qualified archaeologist available to excavate the cave Victor Peers and his son Bertie were instructed in archaeological techniques. After a practice dig in a cave above Kalk Bay they spent all their spare time for the next two years working in the cave. As the excavation progressed they uncovered a shell midden up to one and a half metres thick and several thousand years old. 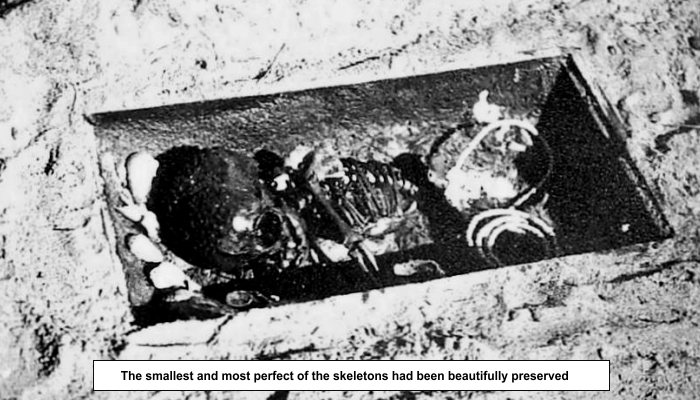 The remains of six people, two women and four children, were buried below this layer and with them were found ostrich eggshell beads, shell pendants and a piece of rusted European iron said to have been a spear head. There were also the remains of small leather bags that possibly contained medicine, for one of the women appeared to have been lame, together with pieces of mother of pearl and stone tools. Below the midden were the remains of two more people and then a ninth skeleton was found, a male of about thirty years old. National and international interest was aroused by these discoveries. “PIGMY SKELETONS AT FISH HOEK. FRESH LIGHT ON LONG DEAD TRIBE. CRIPPLE WITH NECKLACE OF CHARMS. REMARKABLE DISCOVERIES IN A CAVERN. This report was based on a lantern slide presentation which Bertie Peers had given the night before to the Cape Natural History Club at the University. Although the lantern slides have long since disappeared the script from which Bertie spoke has been preserved. In many of the newspaper accounts these people were referred to as Strandlopers, meaning people walking on the beach. This was a name given to anyone seen on the beach by the Dutch settlers, but Bertie, in his lecture, refers to the inhabitants of the cave by their correct tribal name, the San. Although the stone tools were of great interest to those wanting to know how the San lived, it was the discovery of the skeletons that was headline news at the time. 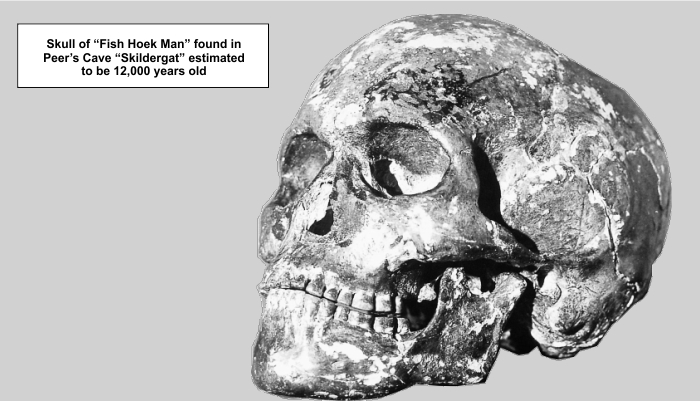 One of the skulls was taken to England and examined by Sir Arthur Keith, who is described in a “Guide to the Peers Cave” published in 1940, as “One of the foremost living anthropologists and a leading authority on the antiquity of Man.” He wrote that “The excavation of Peers Cave revealed for the first time in South Africa a human skeleton embedded in an intact and datable Stone Age stratum.” “It is the largest brained type of humanity so far discovered.” The skull of what became known as Fish Hoek Man was then dated at 15 000 years old but has since been redated at 12 000 years old. Interested sightseers and amateur archaeologists all came to see what they could find. There is no doubt that many stone tools were found in the area and taken away, as souvenirs, as other midden sites were found in the Fish Hoek Valley, most of which have since been built over. Dr Mossop, who lived in Fish Hoek, had a well documented collection for which he made a special wooden cabinet. This was left to the Fish Hoek Municipality and is now kept at the Fish Hoek Valley Museum. Under our current legislation anyone removing an archaeological artifact from the place where it was found would be liable for a heavy fine. If there is no record of exactly where it was found, and under what circumstances, its history is ruined. All it tells us is that somewhere an early man made a stone tool. Bertie Peers other great interest was snakes, having been introduced to them by Cyril French, a teacher at Rondebosch Boys High School who lived in Fish Hoek. Travelling to school by train, with some of his pupils, he would often produce a snake from his pocket and Bertie soon became interested enough to start his own small snake enclosure in his garden. Later he opened a Snake Park near the entrance to Cape Town Pier where visitors could see and hear about the snakes. They were all “milked” and so were safe for him to handle. He often bought snakes brought in by those who had caught them and one day, in 1939, he was bitten by a new snake that had been put into the enclosure before being milked. Having treated himself with an injection he went home, only to become very ill later. He died in hospital that night, leaving a wife and a young son. Victor Peers, who was in poor health, died a few months later. 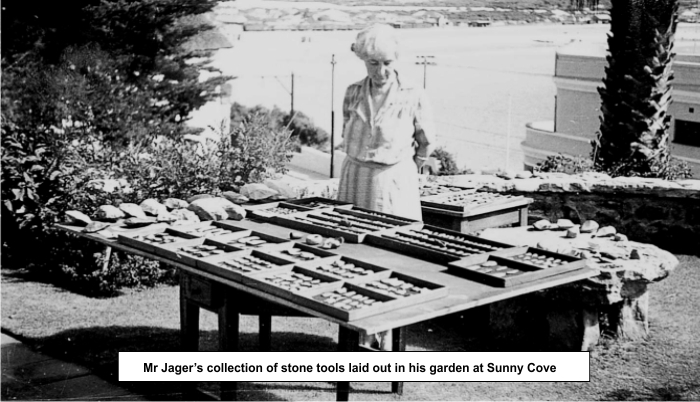 H. S. Jager, the first Mayor of Fish Hoek, was an enthusiastic amateur archaeologist and a founder of the South African Archaeological Society. He edited a Guide to Peers Cave which was first published in 1940 and ran into several editions. At his suggestion a ceremony was held in the cave on 15 January 1941 at which it was renamed Peers Cave. 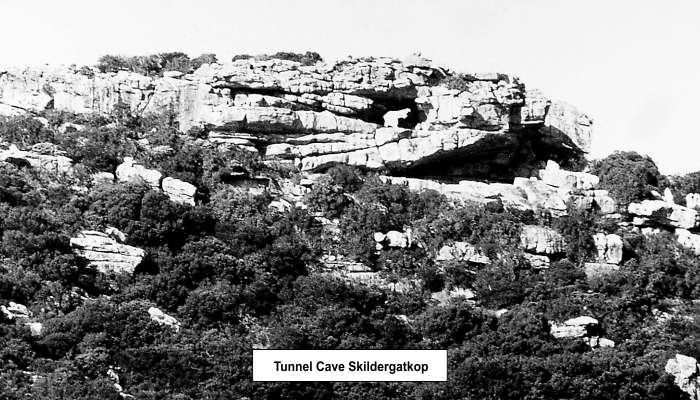 Both the Cape Times and the Cape Argus reported that the cave was to be declared a National Monument, and a Historical Monuments Commission plaque would be fixed to the wall of the cave during the ceremony. However, although Professor van Riet Louw of the Historical Monuments Commission was present it did not become a National Monument. These reports have caused much confusion with regard to who was responsible for looking after the site. On several occasions the Fish Hoek Municipality wrote to the Commission asking for the path to be cleared and the area of the cave tidied. The Commission would write back to say that as it was not a National Monument it was not their responsibility. For some time there was doubt as to whether the Municipality or the Divisional Council was responsible for it. At various times it was suggested that the Municipality fence it off or that the area be declared a nature reserve so that the warden of the reserve could be responsible for the cave. 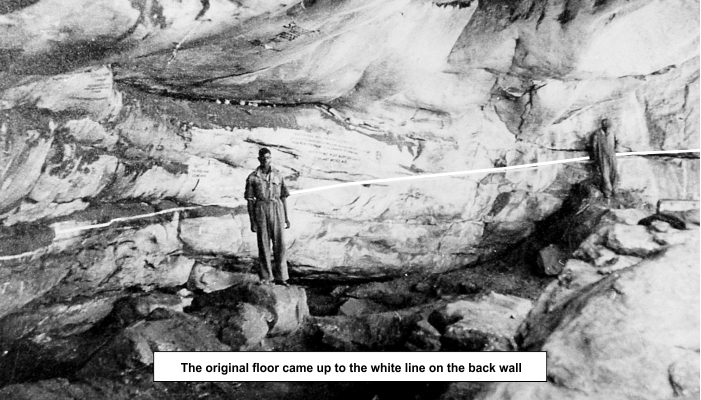 Nothing was ever done, although notices were painted on the walls of the cave and graffiti soon became a problem. In 1998 the National Monuments Council arranged for both the painted notices and the graffiti to be removed. The cave is now part of the Cape Peninsula National Park but there is still free access for those wishing to visit it. In 1942 H. S. Jager investigated the Tunnel Cave. This runs right through the rock with an opening at each end, so although it was used it would have been a cold and windy place for living, whilst Peers Cave is a sheltered overhang. Jager soon became known as the local expert on Peers Cave. He had a collection of stone tools at his house, many of which he had found near the Tunnel Cave, which he was glad to show to visitors. 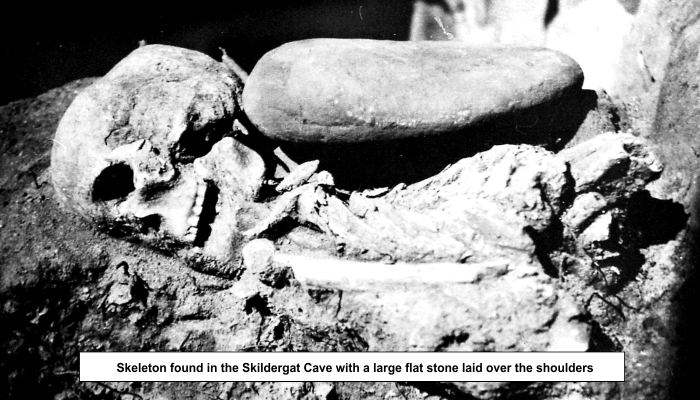 Further excavations were done by Keith Jolly in 1946, Barbara Anthony in 1964 and Royden Yates in 2002, but although there is more material that could be discovered, it has been very difficult to follow the records of the original excavation and date from what was found. 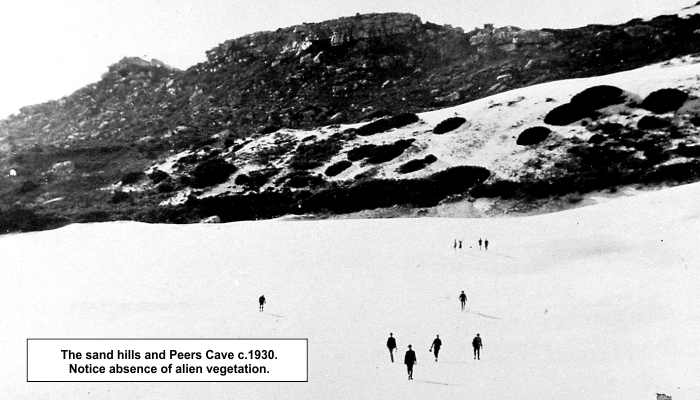 At a meeting of the South African Association for the Advancement of Science, held in Durban in 1932, Field Marshal Smuts said, in his opening speech, “The cave at Fish Hoek promises to be one of the foremost cave sites in Southern Africa.” The sad fact is that it was excavated too early. Had it remained undiscovered until archaeology was well established in South Africa it could have been a world renowned site. When the first Dutch settlers arrived at the Cape, in 1652, they brought with them a culture that was completely foreign to the San, who functioned as a tribal unit. At that time those in Europe knew very little about Africa which was presumed to be inhabited by “savages”. The settlers were outraged when their cattle were taken for food and made very little attempt to understand the indigenous people, instead they hunted them down. The San, who had never seen guns before, had no option but to flee northwards, leaving the land to the newcomers.